It might seem incredible to some, that the African Government know about the worsening weather shift and have no plans in place to deal with it. As the global population continues to rise sparking more CO2, this will in turn cause weather patterns to change - so you can look forward to more heavy rains and floods. What is needed is action right now to force planners to approve housing stock that is flood resistant. Such designs exist today and would save much of the heartache and worry associated with the pictures and articles quoted on this website, if they were implemented. 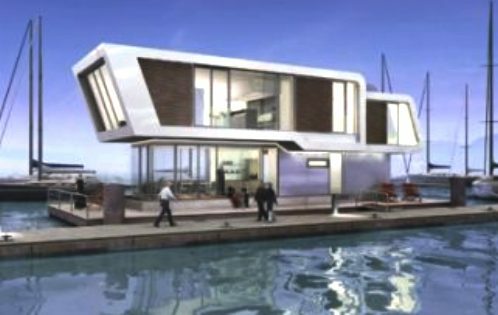 It is better to have a waterproof house and not need it, than not the have one and need it. Johannesburg - Several drownings and rescue operations were reported on Tuesday as persistent rain and flooding caused havoc in several parts of the country. In Mpumalanga alone, 11 people drowned during the past week because of heavy rains. Another 12 were rescued. Vehicles were also swept away in floods. The SA Weather Service said flooding in the eastern parts of the country remained a risk due to high saturation caused by the rainfall. These included Gauteng, the Free State, and North West, forecaster Elizabeth Webster said. Rainfall patterns would shift to the north-eastern parts of the country, including Gauteng, Mpumalanga, and Limpopo, on Wednesday. "This would also bring an 80% chance of rain to the region," said Webster. The rainy weather conditions were expected to clear up in the north-eastern regions by Friday. The military remained on standby to help if necessary. SA National Defence Force (SANDF) spokesperson Brigadier General Xonani Mabanga said it was common practice to mobilise the SANDF for assistance in rainy weather conditions. "[However] there has been no request from any department for such assistance as yet," Mabanga said. Mpumalanga police spokesperson Leonard Hlati said Tonga, Nelspruit, Greylingstad, Piet Retief, and Badplaas were among the areas hit by heavy rains in the province. Three children, aged between 2 and 11, were among the 11 people who had drowned last Tuesday. Twelve people, including motorists whose vehicles were swept away when they attempted to cross flooded bridges, were rescued by the inland water police and diving service, said Hlathi. Mpumalanga Co-operative Governance and Traditional Affairs MEC Simon Skhosana handed over relief supplies to residents affected by flooding in the Nkomazi local municipality near Badplaas. Skhosana, accompanied by Nkomazi Mayor Thulisile Khoza, handed over food parcels and blankets to the 38 affected families on Monday, department spokesperson George Mthethwa said. Skhosana also visited several bridges in Mzinti, Tonga and Mlumati, to determine the extent of the damage caused by heavy rain and flooding in the area. Mthethwa said the department was co-ordinating reconstruction of the damaged bridges and the matter had been discussed with sector departments. In Limpopo, seven people were almost washed away in a bakkie in Zebediela, Polokwane, on Monday morning, ER24 spokesperson Luyanda Majija said. A group of men were also rescued by helicopter from rising water caused by the overflowing Mogol River in Vaalwater, Limpopo, over the weekend. A 69-year-old woman, who was swept away with her husband while swimming in an undercover swimming pool at Klein Kariba at the weekend, was still missing on Tuesday. Limpopo police spokesperson Hangwani Mulaudzi said her 74-year-old husband's body was found on Saturday. The two were swimming on Friday when the Bela-Bela dam overflowed. The SABC reported on Tuesday that the Vaal River was also expected to overflow. Heavy rains had caused dams to release more water into the river. Power failures hit parts of Tshwane in Gauteng earlier in the day, the city said. Areas affected were Silverton, Nellmapius, Samcor Park, Waltloo and parts of Mamelodi. This was due to cable faults caused by the heavy rain and power was expected to be restored by Wednesday. The city urged people to switch off all non-essential appliances and to report any other power failures. Also in Tshwane, a taxi carrying 13 passengers tried to cross a low-water bridge which was washed away by flood water in Mabopane, north of Pretoria on Monday. "None of the passengers were injured and the taxi was recovered," Tshwane emergency services spokesperson Johan Pieterse said. In North West, Cosatu warned people living near low lying areas and water sources in the province to exercise caution and to relocate if possible. Cosatu provincial secretary Solly Phetoe urged people and government to provide assistance to those who were affected by the floods. Continuing floods had also caused the closure of bush camps at the Kruger National Park. SA National Parks spokesperson Reynold Thakhuli on Tuesday said all gravel roads in the Marula region of the park were also closed due to the weather conditions. 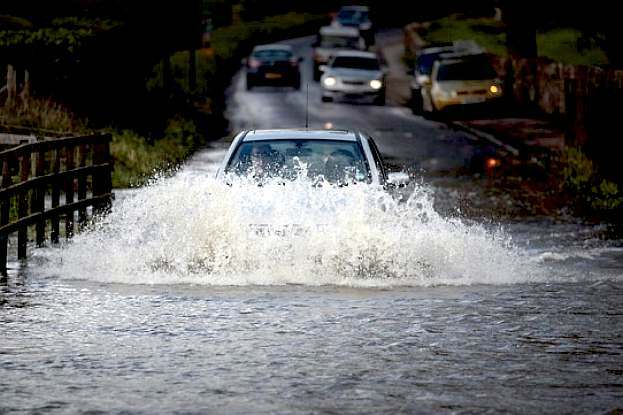 Cars were submerged and scores of people were evacuated during floods in Port St Johns overnight, the Eastern Cape local government ministry said on Sunday. Local government MEC Mlibo Qoboshiyane appealed to all residents to co-operate. The department said parts of the R61 between Port St Johns and Lusikisiki had been partially closed following a landslide. Traffic officers were on the scene. The authorities were also removing a tree which had fallen across another road. In Soweto, water levels had dropped on Sunday, and there had been no more flood-related emergencies, said Johannesburg emergency services spokesman Robert Mulaudzi. 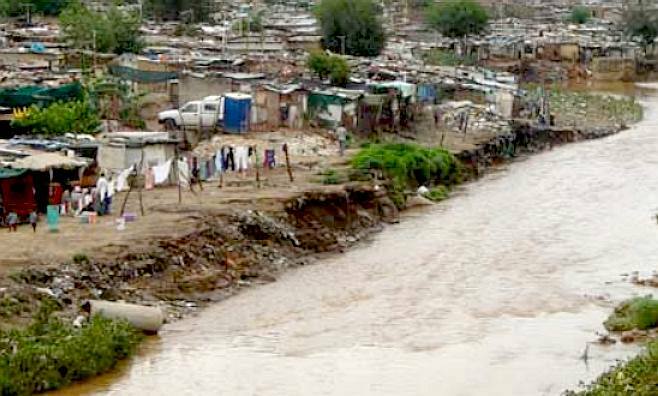 On Saturday, 136 people were left homeless when their shacks were destroyed by floods. They were taken to the Khayalethu care centre. No one was injured, he said at the time. Several motorists and passengers had to be rescued when they were trapped on flooded roads in Soweto. In Diepkloof, two houses were struck by lightning but no one was injured. Elsewhere in Johannesburg, flooding was reported on the M2 highway. The SA Weather Service has indicated that the rain and cold weather will last throughout the weekend. This year's flooding has claimed far fewer lives - 100 have been reported dead so far - and local, national and international agencies seem more equipped to handle the devastation and humanitarian crises that have followed. Many are saying this is due to better coordination between government officials and aid agencies and improved early warning systems that have been distributed throughout Mozambique since 2000. 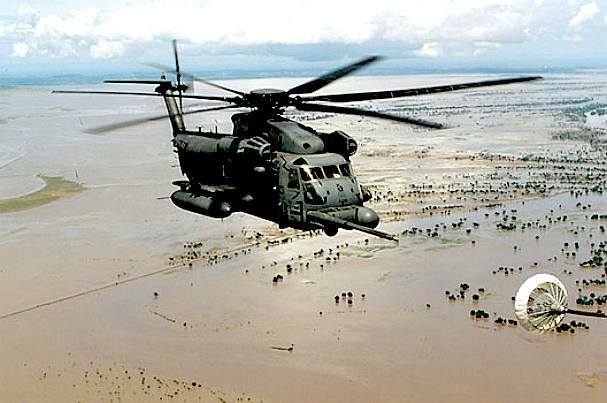 "Mozambique's long-term challenge is to learn to live with floods and drought," began a case study (pdf) conducted by the World Meteorological Organization during the soul searching that followed the 2000 floods - one of the most devastating natural disasters in the country's history. The paper found that Mozambique's National Institute of Meteorology was woefully ill-equipped for the flooding that occurred. It called on the local and international organizations to invest heavily in preparedness for the flood-prone area. Between 2009 and 2011 alone, cash-strapped Mozambique invested $275 million to try to reduce the risk of flooding. In that same period international donors added an additional $317 million. In the years since the last major floods, members of National Institute for Disaster Management were trained in administering CPR and given radios to receive warnings and pass them on in their rural communities. Survival kits equipped with whistles, megaphones and life jackets were also given out to local officials, and residents were taught a color alert system. The Mozambique Red Cross Society modeled much of the early warning system off of similar programs in the Philippines and Latin America. Even with the country's heavy investments, the magnitude of this year's floods caught many off guard. "It is difficult to help everybody at the same time ... but as soon as the floods began, the government started to work," Ana Cristina Joao Manuel, national director of prevention and mitigation in Mozambique's National Institute for Disaster Management, said to IRIN. "There will always be complaints in a situation like this. It is natural," she added. By January 28, residents of Gaza had swarmed the camp at Chiaquelane, many forced to survive on one meal a day until international response ramped up to meet the need. Government officials and international organizations are learning the lessons from these latest floods. Aside from building a series prohibitively expensive dams upriver, there is little Mozambicans can do but prepare for the next deluge. Thirteen rivers flow across southern Africa and through Mozambique before emptying into the Indian Ocean. The Limpopo traverses much of southern Africa, separating South Africa from neighboring Botswana and Zimbabwe before it cuts across Mozambique's Gaza province towards the sea. Chókwè sits in the middle of Gaza and is at the mercy of all of the dams, dykes and water control systems that lie upriver. It's estimated that half of the water that flows through Mozambique comes from outside the country, and often local officials must rely on their South African, Swazi and Zimbabwean counterparts to keep them in mind when controlling their catchment areas. "We have had situations where the South Africans did not warn us in time they were going to do discharges, with an interval of only two days," Suzana Laforte, head of Mozambique's water board, told the local paper Savanna. The Utopia Tristar formula includes treated timbers as standard, and that means immersion in water will not fundamentally undermine structural integrity should one of our homes with the Flood/Tsunami resistant option, encounter adverse weather conditions. The method of construction allows for sealed buoyancy compartments, which when coupled with our heat storage system using water ballast will keep a unit afloat with a high degree of stability. These homes may be ordered as mobile units, so are free to move or be moved - in this case by high volume flood waters. The survivability of such freak weather conditions is high, thus the concept has enhanced sustainability in geographically prone flood areas. 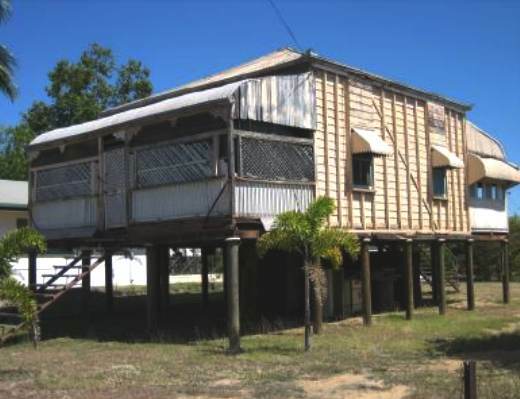 After a flood, or a catastrophe such a a tsunami, the home may need to be re-sited, but it would survive intact - you would not lose your dwelling; you'd not lose your investment. We are due to conduct tank and other tests in the coming year, the results of which will be reported on this site. The system could free up thousands of acres of low level land in India, the UK and USA, where at the moment it would be folly to allow the building of conventional houses. See the flood sequence at the foot of this page. 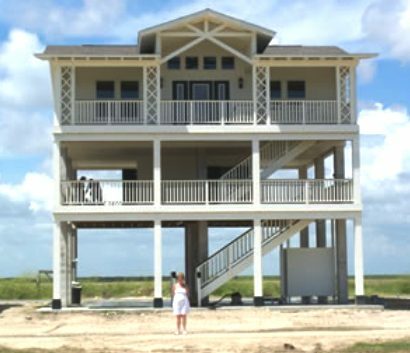 Building resistance is the process of making a building resistant to flood damage, either by taking the building out of contact with floodwaters or by making the building resistant to any potential damage resulting from contact with floodwaters. 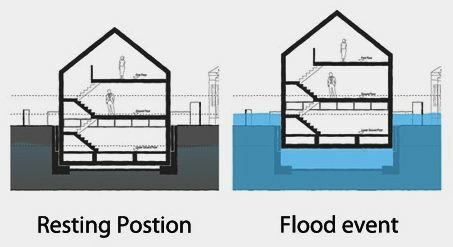 This process involves the construction of a building in such a way to prevent floodwater entering the building and damaging its fabric and allow flood victims some degree of protection from flooding. These measures can prevent water getting into a property, particularly for shallower floods or allow time for the householder to move valuable possessions upstairs. Floodwater can be disruptive and can cause structural and cosmetic damage to a building, which can be expensive to repair. 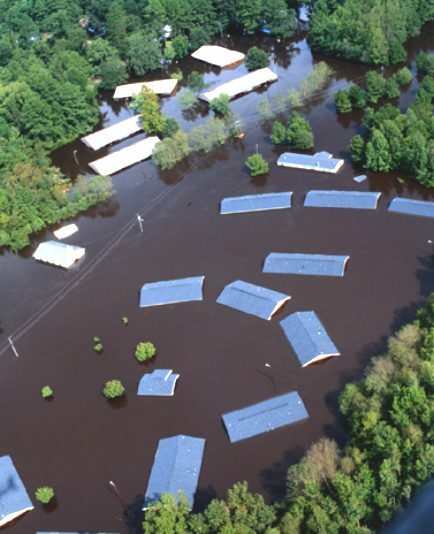 Floodwater can also carry contaminants creating additional health risks. With low flood depths it may be possible to prevent significant damage to a building and may allow continued use of a building during a flood. It may also be beneficial to install some flood resistant measures to properties located behind flood defences, to protect them in the event that the defences are overtopped or fail. 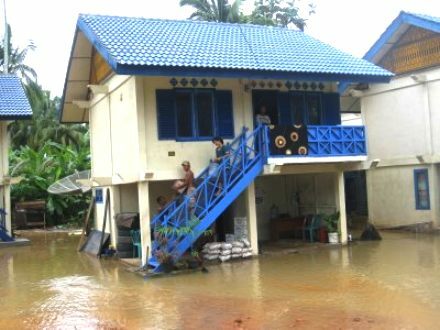 Ideally buildings should be placed so as to avoid flood-risk. However, when it is not possible to do so, such as if the building already exists or it replaces an existing building then measures to reduce the effects of flooding must be considered. Typically resistance measures may be used when the flood depth is less than 600mm but subject to the characteristics of the flood such as speed and debris. 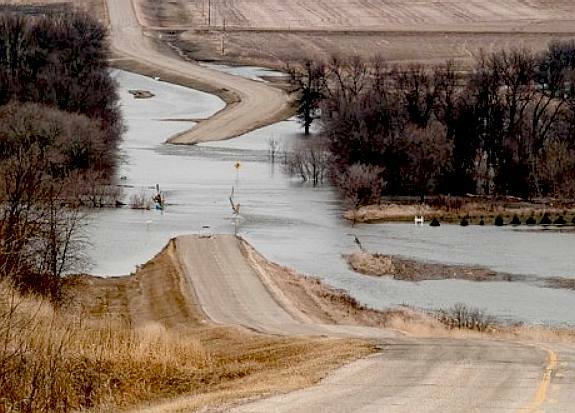 Consideration should be given to the effect that climate change may have on the potential depth of flooding. In some locations, buildings not currently at risk of flooding, maybe in the future. * What measures are available to help families build up their own levels of flood resilience? * How do humans adapt to risk? What measures are available to help families build up their own levels of flood resilience? HOW DO HUMAN ADAPT TO RISK? 1. 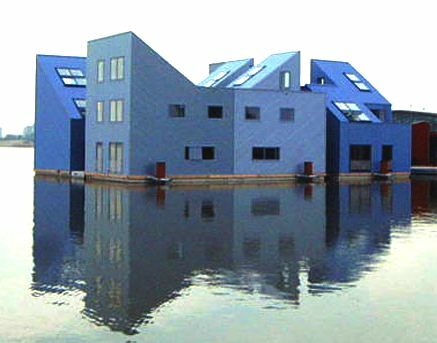 New buildings should be located out of flood-risk where possible. 2. 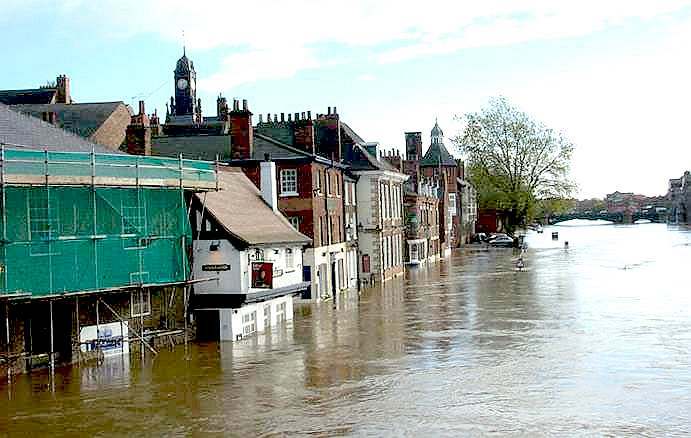 Flood resistance typically requires human intervention to implement actions to protect the building, this means that ample warning time needs to be available to set up defences. 3. Consider how waterproof the building fabric is (type of frame, type of infill panels, floors, walls…). 4. Floodwater can rise up from the ground, not just enter through doors, windows or other openings. 5. It is necessary to determine the structural integrity of the building, deep water can cause structural damage. 6. Use certified waterproof sealants and materials to dry proof the building. 7. Consider pipes in and out of the building as potential paths for water. The United States has a significant hurricane problem. More than 60% of the Nation’s population live in coastal states from Maine to Texas, Hawaii, and Puerto Rico. Hurricane Floyd (1999) brought intense rains and record flooding to the Eastern U.S. Of the 56 people who perished, 50 drowned due to inland flooding. Tropical Storm Alberto (1994) drifted over the Southeast United States and produced torrential rainfall. More than 21 inches of rain fell at Americus, Georgia. Thirty-three people drowned. Damages exceeded $750 million. Tropical Storm Claudette (1979) brought 45 inches of rain to an area near Alvin, Texas, contributing to more than $600 million in damages. Hurricane Agnes (1972) produced floods in the Northeast United States which contributed to 122 deaths and $6.4 billion in damages. 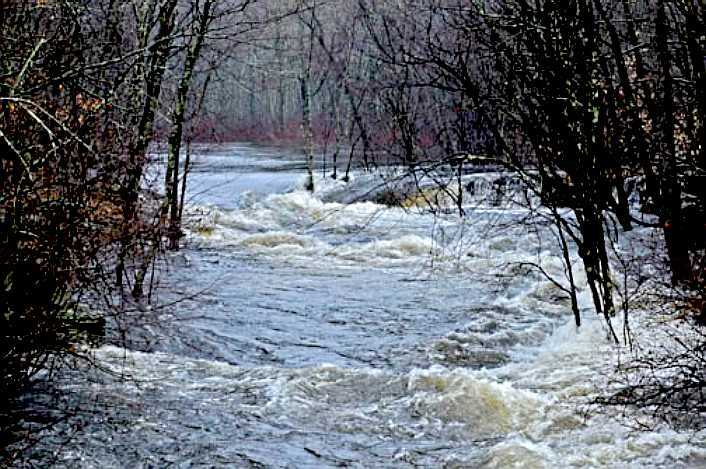 Long after the winds from Hurricane Diane (1955) subsided, the storm brought inland flooding to Pennsylvania, New York, and New England contributing to nearly 200 deaths and $4.2 billion in damages. So, the next time you hear a hurricane warning - it may be too late for you. Think inland flooding today and call Utopia Tristar Partners. 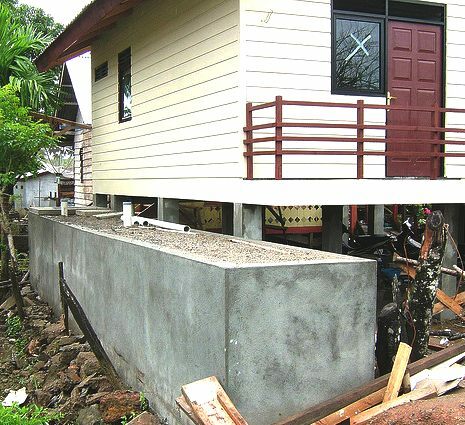 High floodwater - the house lifts off the ground and floats until the floodwater subsides. A special tethering systems absorbs shock and returns the building to its original location. The building is waterproof, so will be undamaged after the flood, with all contents kept dry and safe. If you are planning living in an area subject to seasonal storms, why even consider any other type of home. NOAH'S ARK - We're not sure if this is a boat-house, or a house-boat. 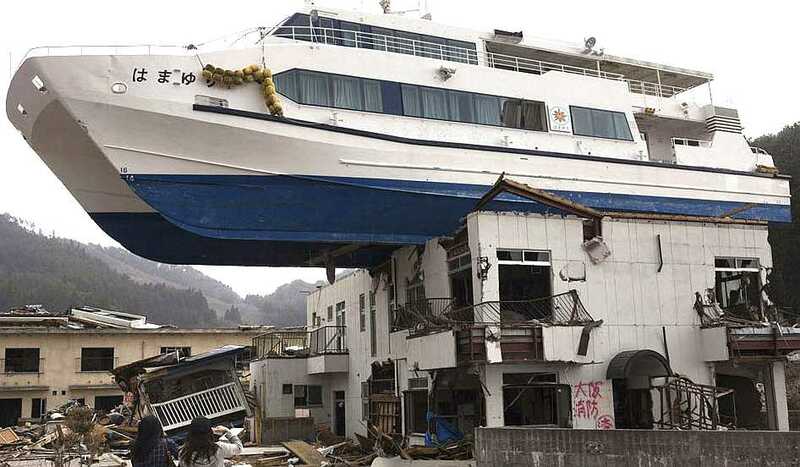 Either way the picture illustrates the dangers of flooding caused by tsunami like conditions. These super strength concrete buildings in Japan, that were built to withstand earthquakes, have remained standing. Equally, the catamaran as a floating structure has survived intact. If the boat had been a tethered tsunami resistant building, it would not have been carried along and deposited on top of these houses. The tethering system would have absorbed the impact of the tidal wave, and slowly draw the house back to its original location as the flood waters abated, so that with some minor adjustment, it could have been re-positioned in exactly the position it started.